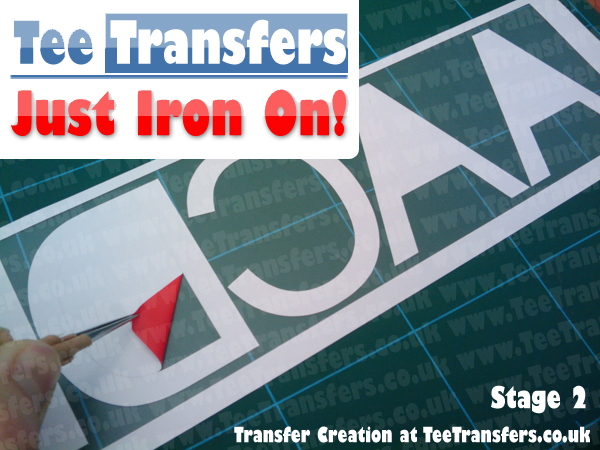 The main reason our transfers are so good is the process we use to make your Iron on Transfers. If you ordered 1 transfer, the process would be exactly the same as it would be for 10000 transfers (it just takes longer). How do other companies make Iron on Transfers? 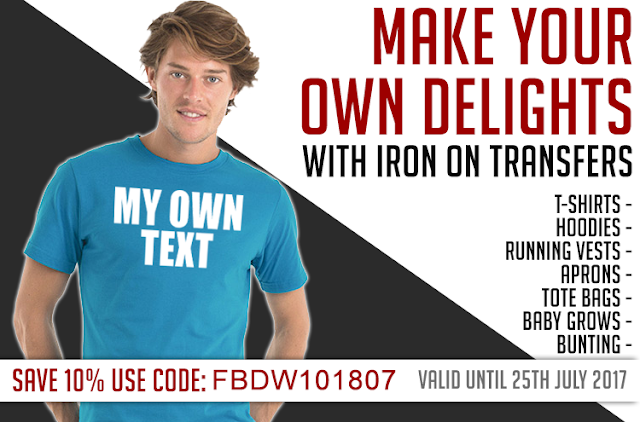 Printed iron on transfers are generally much thicker, will not last in the washing machine and will generally make your garment feel like a cereal box has been stuck on to it. Printed transfers also do not last once applied. Printed transfers do have tendencies to fade, peel and crack with the general day to day use of your garment. Printed transfers will always be cheaper than our transfers. How will a printed transfer look once applied? Printed transfers can be made by virtually anybody who has a desktop printer. You purchase a pack of tshirt paper from your local stationers, pop a sheet in your printer, and then print a word document. Then cut it, and iron on. Simple! If you want the "name badge sticker" effect, then you will definitely love this method! Ok, you made your point...what do iron on letters look like from you? Our iron on letters are made using commercial transfer material. We purchase the material in 50m rolls in each colour (white, black, red, blue etc). We then take your order, and type each letter at the size requested into our CAD software - then send it to our digital cutting machine. So to put it into perspective, if you ordered 100 B's, we would need to pick out the centre parts of each B (there are 2) for every single letter......by hand. 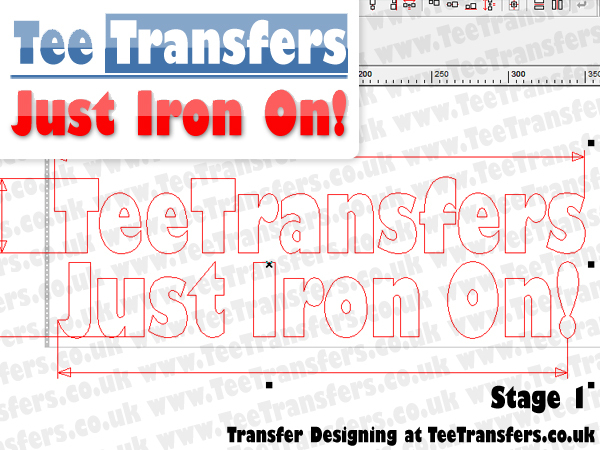 How do your transfers look once Ironed On? Our transfers look great! Used by the RNIB, Rainbow Trust, Channel 4, ITV, Funky Voices Choir, Line Dancer UK, BBQ Aprons, RFU and thousands of other people, our transfers are made to last! No Border, No Gluey Residue - Just Letters! All on 1 easy to use fast UK website.